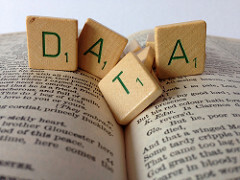 Describing and documenting data is essential in ensuring that the researcher, and others who may need to use the data, can make sense of the data and understand the processes that have been followed in the collection, processing, and analysis of the data. Research data is any physical and/or digital materials that are collected, observed, or created in research activity for purposes of analysis to produce original research results or creative works. Research data can be generated for different purposes and through different processes, and can be divided into different categories such as numerical, descriptive or visual. Moreover, data may be raw or analysed, experimental or observational, confidential or publicly accessible. Research data can include laboratory notebooks, field notebooks, primary research data, questionnaires, audiotapes, videotapes, models, photographs, films and test responses. View research project data summary from example data management plan. This is an example research project data summary from the data management plan for a fictitious research project. Formats of the data, e.g., SPSS, HTML, PDF, JPEG, etc. View data organisation and structure from example data management plan. One element of data documentation is the description of the data, known as metadata. Metadata is often defined literally, as data about data, which refers to the information used to describe an item's attributes in a standardised format e.g. the author's name and title of a book in a library catalogue. Metadata can be used to describe physical items as well as digital items in many different forms, from free text (such as readme files) to standardised, structured, machine-readable content. Appropriate storage of documentation and metadata is just as important as the storage of the research data itself, as the metadata provides a descriptive meaning to raw research data. Metadata can be made available without sharing the dataset. More information on sharing can be found under Publication. Some disciplines have their own metadata schema. Each will have their own specified elements and structure. The Edina Data Centre has created a video which explains metadata through a range of examples. A controlled vocabulary reflects agreement on terminology used to label concepts. When research communities agree to use a common language for the concepts in datasets, then the discovery, linking, understanding and reuse of research data are improved. Research Vocabularies Australia (RVA) is one of the tools, which make it easy to find and use controlled vocabularies used in research as well as assisting Australian research organisations to publish, re-purpose, create, and manage their own controlled vocabularies. Provides a guide to controlled vocabulary and how to use them. Provides information on working with metadata. An overview with example schemes and element sets. Explains what vocabularies are and how they are useful.